Australia’s newest airport will recognise one of this country’s greatest aviators, with the proposed facility at Badgerys Creek to be named Western Sydney International (Nancy-Bird Walton) Airport. The federal government announced the name of the airport Monday. Prime Minister Scott Morrison said Nancy-Bird Walton was an inspiring and natural choice. Walton, who was the youngest Australian woman to gain a pilot’s licence, founded the Australian Women’s Pilot’s Association (AWPA) in 1950 and was the its first president. Meanwhile, Walton was declared a national living treasure by the National Trust of Australia in 1977. In recognition of those achievements, Qantas named its first Airbus A380, VH-OQA, in her honour. Also, there is a 1930s style aircraft control tower at Luskintyre Airfield in the New South Wales Hunter region that also bears the name Nancy-Bird Walton. Walton’s ashes were scattered from Tiger Moths over the Luskintyre Aviation Flying Museum Airfield after she died in January 2009 at the age of 93. 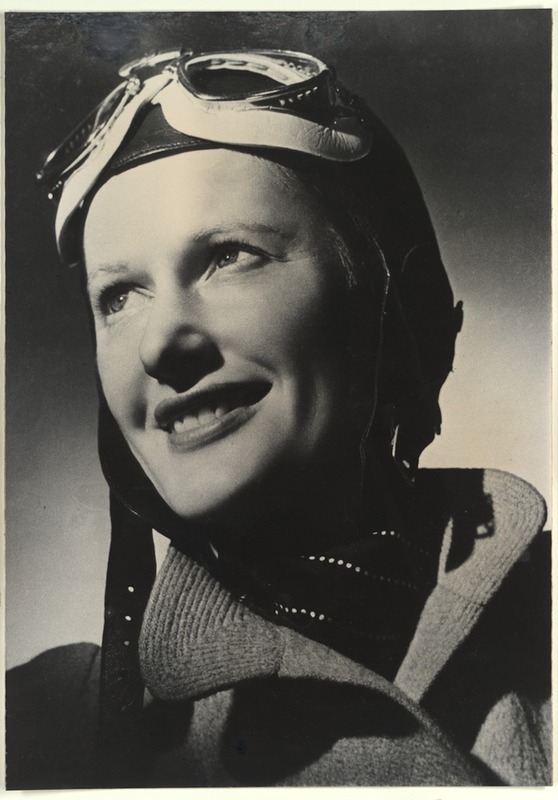 “It is fitting that having recognised Charles Kingsford Smith at Sydney Airport that we now recognise Australia’s greatest female aviation pioneer, Nancy-Bird Walton in the naming of Western Sydney Airport,” the Prime Minister said in a statement. 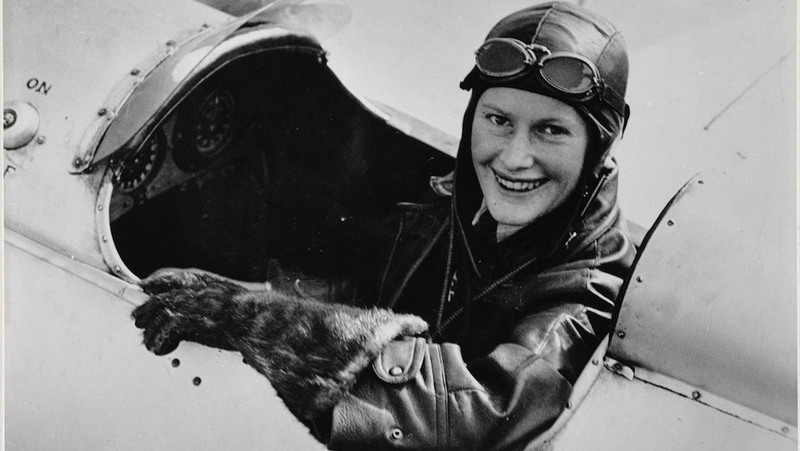 “Nancy-Bird Walton is an Australian legend, a pioneer whose determination to take to the sky is an inspiration for generations who have followed. At just 17, Nancy-Bird enrolled at Charles Kingsford-Smith’s flying school at Mascot. 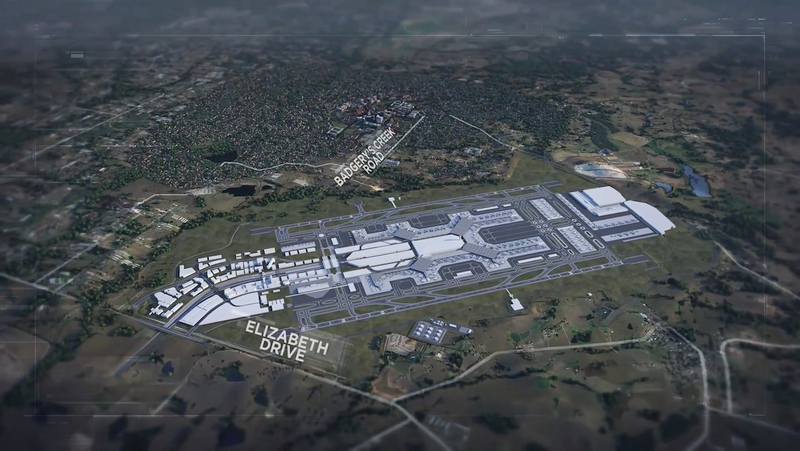 The Western Sydney Airport Plan shows Stage 1 of the airport would feature a terminal capable of handling up to 10 million domestic and international passengers a year, with a single 3,700m long by 60m wide runway on a 05/23 orientation. It was due to open in 2026. Construction on Sydney’s long-awaited second airport kicked off at Badgerys Creek in the city’s west in September 2018, with about 1.8 million cubic metres of earth to be moved to prepare the ground for the eventual runway and terminal to be built. The design of the facility would allow for a second parallel runway and expansion of the terminals to cater for 37 million passengers a year by 2050 and 82 million a year by about 2063. The terminal design would feature swing gates capable of handling both domestic and international flights, which would increase the efficiency of transfers and increase the use of contact gates equipped with aerobridges. And the Airport Plan said flightpaths had not been finalised, noting the draft flightpaths shown in the draft Airport Plan were a “conceptual model for aircraft arrivals”. Beyond the airport itself, there is also a planned “aerotropolis” precinct bringing together firms across defence, aerospace, freight and logistics, agribusiness, pharmaceutical and biotech, among others, as well as education. On March 1, Western Sydney Airport said it had awarded AVLogix the contract for baggage handling consultancy services. Qantas pilot Richard de Crespigny, who gave the inaugural Nancy-Bird Walton lecture that was established by the Montreal branch of the Royal Aeronautical Society (RAeS) in 2016, has been a vocal advocate for naming the proposed airport after the aviation pioneer. Captain de Crespigny said he was thrilled that Sydney’s two airports will be named after two of Australia’s aviation legends. “All Australians should feel proud of this development,” de Crespigny said on his Twitter page. 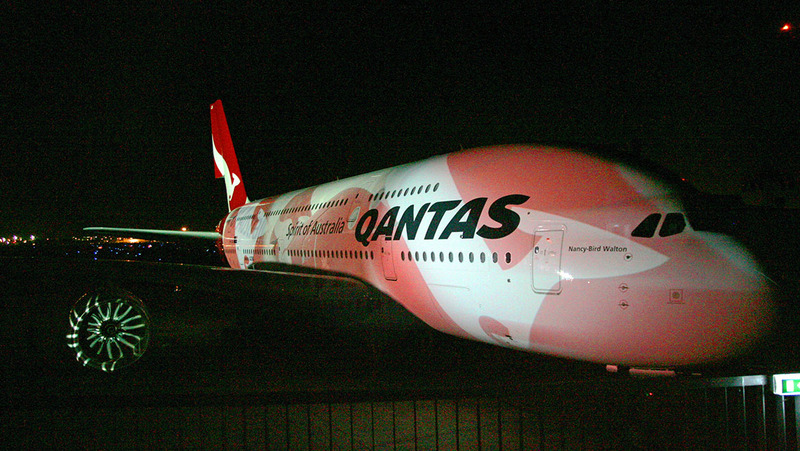 Qantas Airbus A380 Nancy-Bird Walton VH-OQA at the delivery ceremony in 2008. Captain de Crespigny was at the controls of VH-OQA when the aircraft suffered an uncontained engine failure enroute from Singapore to Sydney in 2010. Western Sydney Airport chief executive Graham Millett said Nancy-Bird Walton’s was the perfect name for the airport. “Western Sydney International is a once-in-a-generation project that promises a new era of jobs and opportunities for the millions of people who call the region home,” Millett said in a statement. Minister for Finance and the Public Service Senator Mathias Cormann said Walton’s family supported having Western Sydney International named in her honour. Other names to have been thrown up over the years have been for the airport to be named after NSW engineer John Bradfield, who designed the Sydney Harbour Bridge and the city’s rail network, or Lawrence Hargrave, whose work with box kites was key to the development of the principles of fixed-wing aeronautics. Both men already have landmarks named in their honour. The Bradfield name is on freeways in two cities, as well as a federal seat in the House of Representatives. Hargrave appeared on the Australian 20 dollar note for a period in the second half of the 1900s. Also, one of Qantas’s A380s, VH-OQE, is named Lawrence Hargrave. VIDEO: A promotional video from Western Sydney Airport’s YouTube channel. This is something that all aviation enthusiasts will welcome and applaud, loud and and clearly. One group,I know for sure, will be thrilled, and proud, to know of this, I’m sure there will be a celebration meeting of the Sydney members of A H S A, of which I am proud to be (a current absent Member), as “Nancy” was our Patron for many years I state ‘absent’, as am no longer able to travel from Cairns, where I now reside, down to Sydney, for health reasons. Nancy would often have members back at her her home, for Morning or Afternoon tea, it was an absolute delight to be in her company, at any time, she always had an Historical story to tell, of her MANY travels, ‘World Wide’, never a dull moment in Nancy’s company, and she was always “bright as a button”, a well polished one at that, as the old saying goes. My wife and I, met up with Nancy, in England, at a de-Havilland fly in meet, we hadn’t told her that we would be there, and when I walked up beside her, her face was a picture of astonishment, but we had a wonderful time with her. R I P Nancy, you will ALWAYS be remembered as the Perfect Lady, with a warmth of feelings for everyone. What will the airport code be? YSWS (Western Sydney) or YSSW (Sydney West)? IATA code SWZ and ICAO not yet assigned. Has to include YS… so YSWS is logical, but may want to differentiate further from existing YSSY, and YSWE also fits past patterns of allocation. We’ll find out within a couple of years I guess. It would be appropriate to name after Aboriginal community as the land belongs to the community. Nancy is a good fit though. Nancy has enough fame already. My vote would have been P G Taylor. As to the code, ICAO code is already SWZ and my guess is ours will be ASSW. Oops – living in the past: YSSW. Strongly suport to nameing Western Sydney Airport to carry name of legend women Nancy Bird Walton. As Kigsford Smith is man wich proudly have been named Domestic and International airport at Mascot. Kingsford and Nancy is Aussies aviators spirits in cokpeets of Australian aviation history. Rodney & Entusiast Group. Sydney✈Airport Morava-Kraljevo Serbia. Rodney – what do you know of P G Taylor though? This is an inspired choice. So appropriate to be named after a woman legend. Sir Charles would approve so what more could you ask for. How about NBW for the code?